As Boca Raton FC embark on the first game of a difficult three game road trip, our player to watch is Alec-Michael Petrizzi. Petrizzi, who recently returned from his first year at the University of Louisville, joined Boca Raton FC in May. Petrizzi, 19, is a left-footed midfielder. His strength lies in 1v1 situations; he is often able to get past defenders and looks to advance into the final third. One aspect of his game that Petrizzi is focused on improving is his defending on negative transitions. Particularly when in advanced positions, it will be crucial for Petrizzi to track back when the ball is lost, especially against a team with an attack as strong as that of Miami United. Although Alec-Michael did not get as many minutes as he would have liked during his freshman year at Louisville, it was a positive experience for him: “My first year at Louisville was good. I was able to improve everyday, while getting used to the pace and physicality of the college game.” Petrizzi has decided that a transfer to the University of Massachusetts is the best step to further his development, stating that he is eager to work with coach Fran O’Leary. 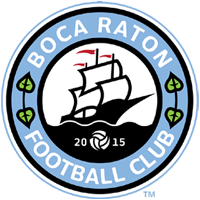 Come out to Milander Park at 7:15 p.m. on Saturday or listen to the game live on BocaChamberRadio.com!